This Botanical Lampshade features a crescent of blue delphinium flowers and delicate orlaya. Delphinium comes in many shades of blue, and when your lamp is on, the beautiful colors and shapes really stand out and come to life. 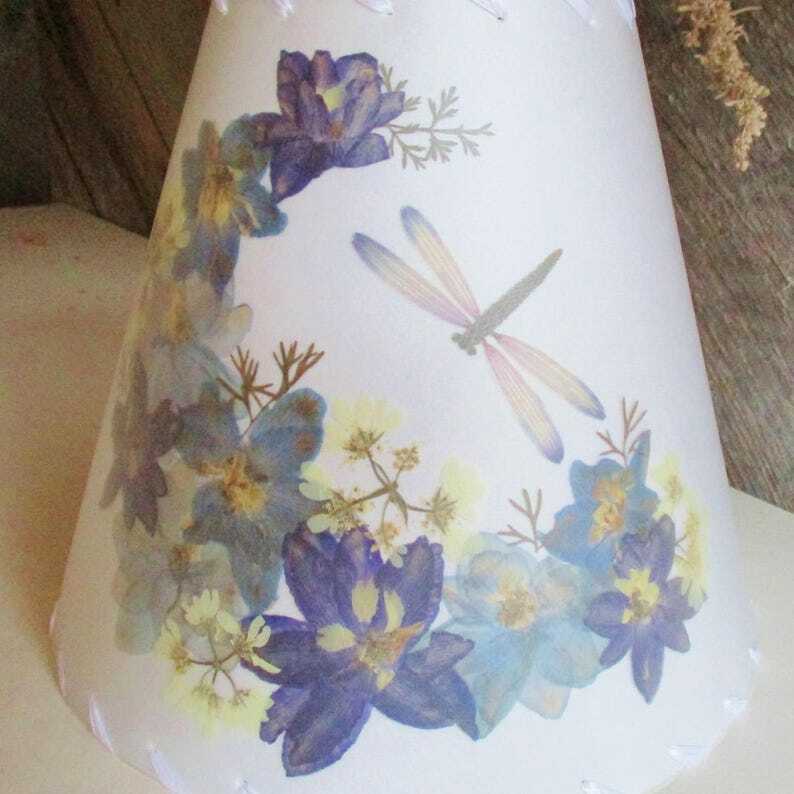 The dragonfly is made with flower petals and this lampshade will bring a touch of the summer garden to enjoy all year long. 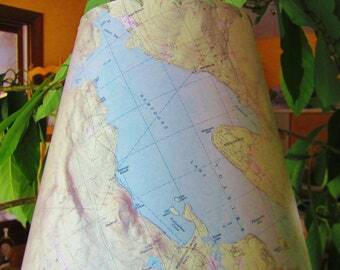 This lampshade will be made to order and will not be exactly like the one in the photos. Other available pressed flowers and leaves will be used with the blue delphinium and you can specify other accent colors in the comments section if you wish. This design will appear different with a larger shade or a shade of a different shape but it will be designed proportionately to your lamp shade size. No rush or express orders on custom shades without prior conversation. The lampshade shown measures 4" across the top, 9" across the bottom, and is 7" tall, with a clip top. It has a white styrene backing and white stitching. You will choose between a clip top which slides directly over the bulb, or washer top if your lamp has a harp attachment. This design can be made in other sizes, please see the drop down list. If the size you need is not there, please message me. 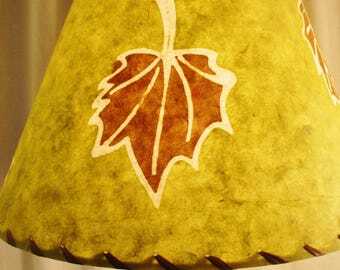 Botanical Lampshades are easily cleaned with a damp cloth, and should be used with low wattage bulbs and kept out of direct sunlight to preserve colors. 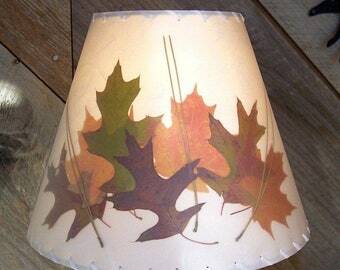 Custom lampshades can NOT be returned; please check your lamp size and necessary hardware, read my store policies, and ask questions before ordering.